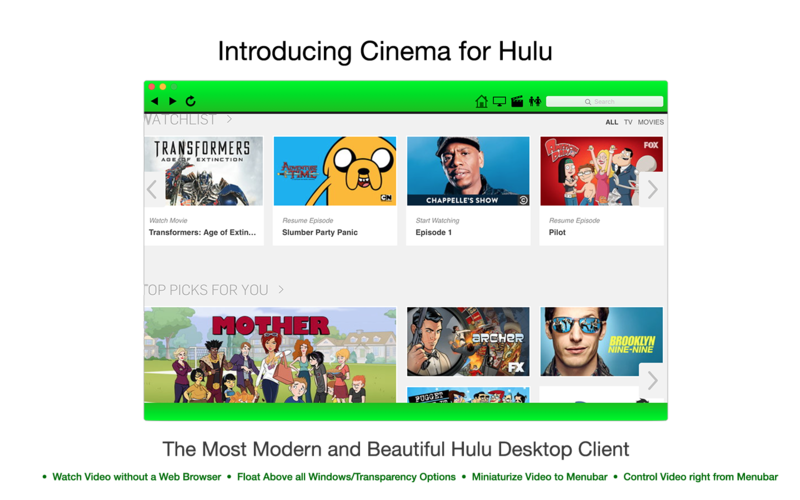 Unified and Integrated Hulu Desktop Application. Introducing Cinema for Hulu: The ultimate third-party Hulu desktop client. Cinema for Hulu allows you to view Hulu Videos without the need for a web browser in a HTML 5 compliant video player -- no Flash required. Simply open the app, login, and you're good to go. 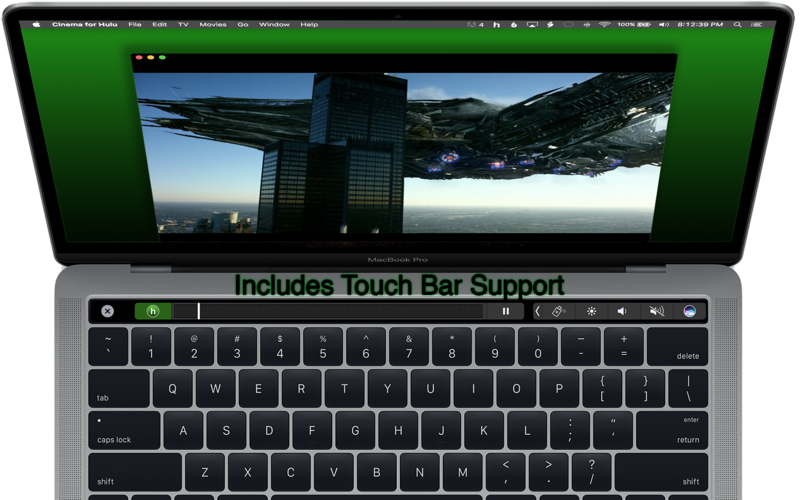 As well as viewing Hulu videos without a web browser, Cinema for Hulu provides a unified and integrated experience: Controls seamlessly fade in and out, Control the application right from the Menubar, and even closing the Window will send Video right to the Menubar so you can enjoy Hulu Videos straight from your Menubar! 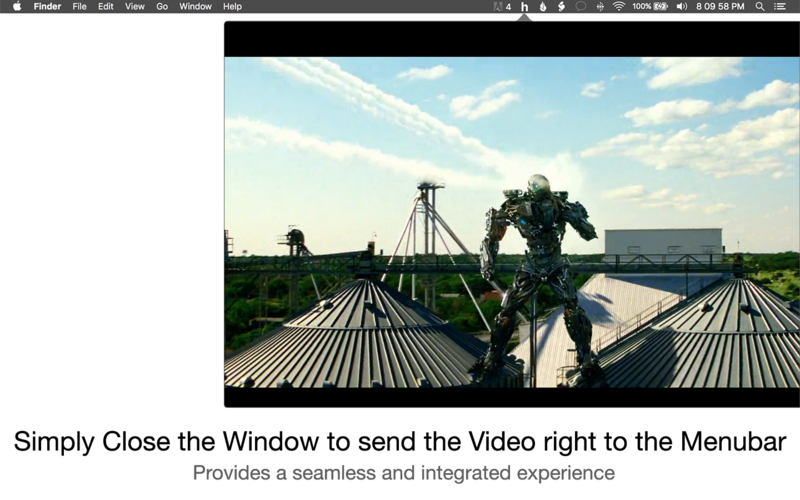 Cinema for Hulu lets you Float the Video above all other Windows (so you'll never miss a moment), and you can set the Transparency to give an experience far superior to a Web browser. Cinema for Hulu also features Instant Search right in the toolbar where you can search for TV Shows, Movies, Actors/Actresses, Genres, and more! 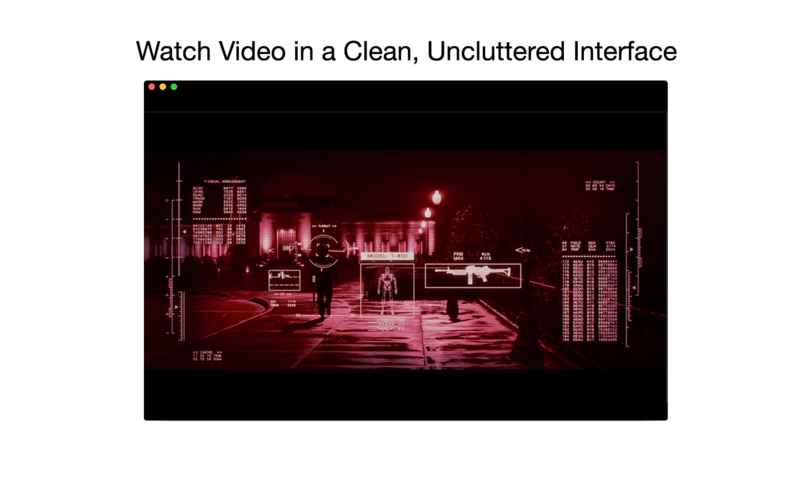 With all these features, and offering a sleek interface and modern foundation, Cinema for Hulu fits like a glove for macOS and offers not just the best video viewing experience for macOS, but on any platform! *Cinema for Hulu is a third party application and is not in any way endorsed, affiliated, or promoted by Hulu Inc. Need help using Cinema for Hulu? Click here to go to our Support site.